This beautiful piece of wall décor has been handpainted in warli art on a silk along with dhokra work giving it a complete look. The wall décor has been framed in sheesham which is also handpainted. 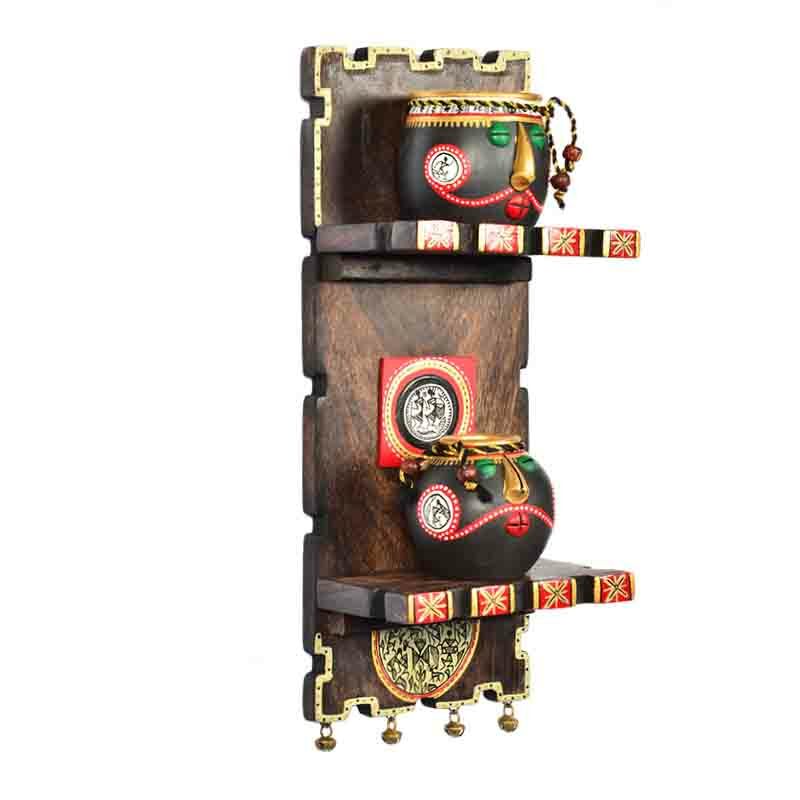 Buy Indian Wall Decors & Handicrafts Middle East. Art Type : Exotic combination of Dhokra and Warli art. Warli art is handpainted on a silk biege color colth. Moorni.com is a best shop to buy Handicrafts, Handmade Products, Home & Garden Decors, Arts, Paintings and Moorni Warli Handpainted and Dhokra Work Silk Painting in Wood (Sheesham) - EL-002-029 in Dubai, Abu Dhabi, Sharjah, UAE. Now Shipping to Doha Qatar, KSA - Saudi Arabia, Bahrain, Kuwait, Oman in the GCC and 1 Day Delivery in UAE.